Bandits’ Joel Matthews (4) and Knighthawks’ Jon Sullivan (32) go for the ball in the regular-season finale at First Niagara Center Saturday. Joel Matthews felt a little pressure when he made his National Lacrosse League debut last week for the Buffalo Bandits. Matthews was placed on the roster just before the game with the Rochester Knighthawks, who are merely the defending NLL champions. The game was played in Rochester. Just to raise the stakes, the Bandits had lost their previous six games in a row. Matthews was a fourth-round draft choice of the Bandits in 2012. He was activated from the practice squad just before the Rochester game. Buffalo lost the game, but Matthews was happy with his play. Matthews played well enough last week to return to the lineup on Saturday night against Rochester. He played even better this time around. The forward had the first two goals of his pro lacrosse career. The Knighthawks are starting to get good at defending championships. The Knighthawks have won the last two NLL titles. In the 2013 regular season, Rochester struggled and barely made the playoffs on the last week of the regular season. There are no such worries this time. Rochester’s win on Saturday night gave them a 14-4 record for the season. That tied the team record for wins in a season, set in 2007. “The guys are more confident this year,” Rochester coach Mike Hasan said. “We made some changes going into last year. The Dawsons, Paul and Dan, and Jon Sullivan came in. There was a bit of a turnover. Rochester was the only team in the NLL East to finish with a winning record, and thus earned a week off in the playoffs. 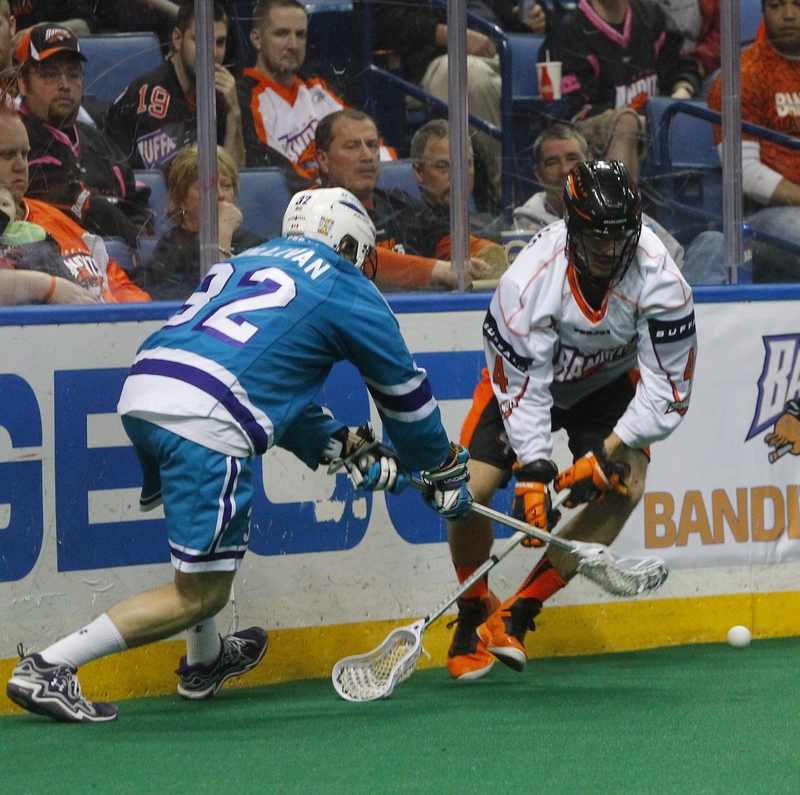 The Knighthawks will play the winner of the first-round game between Buffalo and Toronto. Rochester will open on the road, and then play both a regulation game and a 10-minute mini-game (if necessary) at home. The Knighthawks joined the Edmonton Rush as the only teams in the league that allowed fewer than 200 goals this season. Edmonton gave up 157, while Rochester allowed 167.